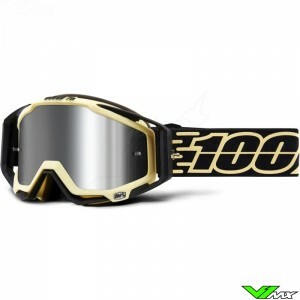 The 100% Racecraft is the most advanced motocross goggle of the American Company. 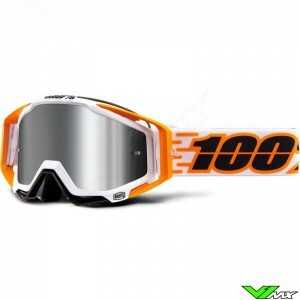 This goggle is used by many professional riders, such as Marvin Musquin, Gautier Paulin and Glenn Coldenhoff. The Racecraft is available in many different versions, check out the current range below. 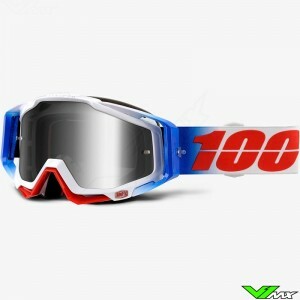 The Racecraft is the result of the 100% teams dedication to create the ultimate motocross goggle for racers. 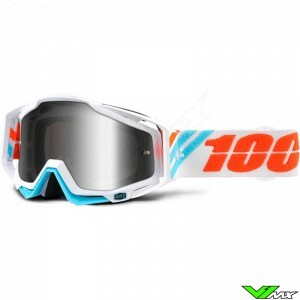 Their goal was to create a goggle with a high level of functionality and accurate visibility. 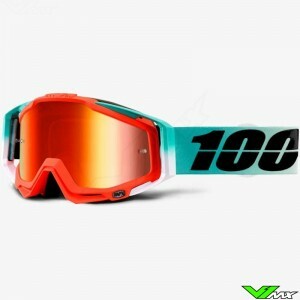 The 100 Racecraft is packed with technical features to improve the riding experience of both beginners and professional riders. 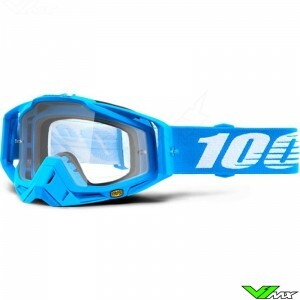 The most important function of a motocross goggle is the protection of the riders eyes. 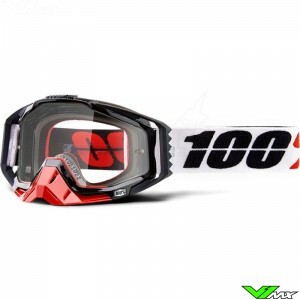 100% has optimized protection by using a strong Lexan lens that is attached to the frame with 9 retention points. The comfort and fit have also been improved with outriggers. 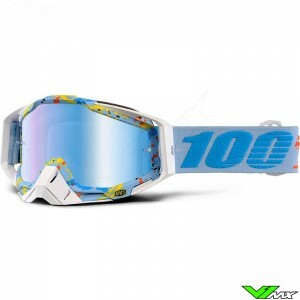 The outriggers ensure that the goggles adapt to the shape of helmet and riders face so that the foam creates a good seal. The facial foam is made of 3-layer moisture-wicking material that fits well on your face and gives a soft and comfortable feeling. 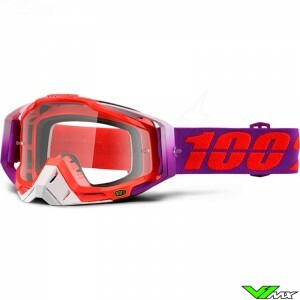 You can easily personalize motocross goggles by installing a new lens. There are many 100% lenses available for various conditions. 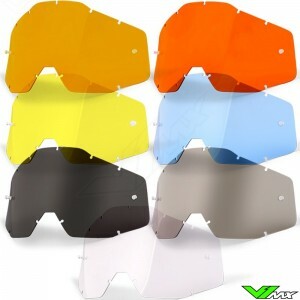 The mirror lenses are popular in direct sunlight because the block light, just like sunglasses. 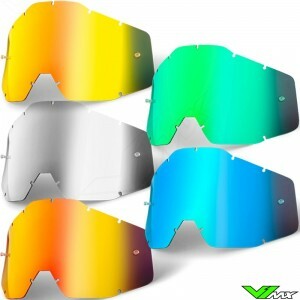 There are also double lenses with ventilation. 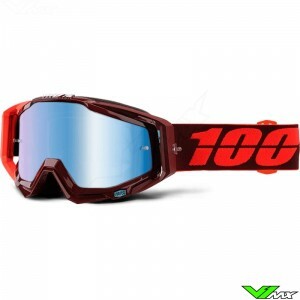 These are mainly used by enduro riders because of extra protection and good anti-fog properties. 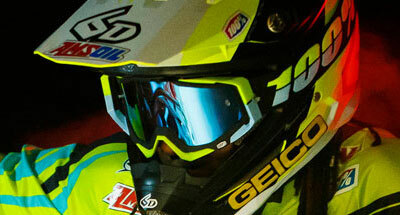 The newest 100% motocross goggles are the Racecraft plus. 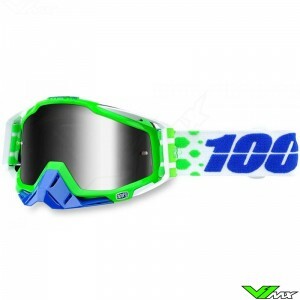 This version has new technical features to offer even better comfort and performance. 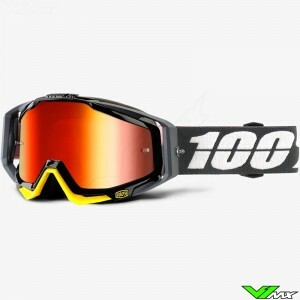 The Racecraft plus is equipped with an injected lens which is pre-bent. This improves visibility because there is less visual distortion. 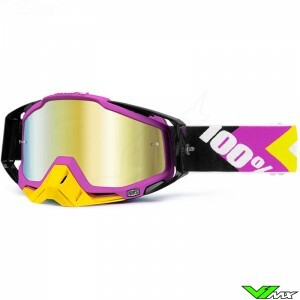 The injected lenses also offer better protection due to the extra strength. The facial foam of the new Racecraft plus consists of 4 layers for even better moisture wicking performances. A huge benefit of accessories for 100% goggles is that almost all products can be used on the 3 goggle models. 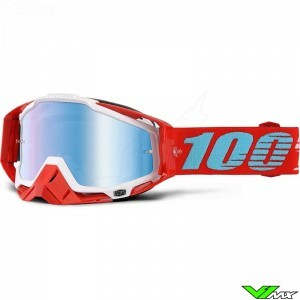 So you can easily exchange lenses and tear-offs between your own goggles or those of your riding buddies. 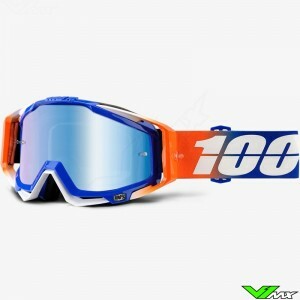 Do you want to buy 100% motocross goggles, but still have a question? 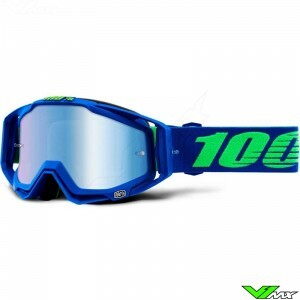 Please feel free to contact V1mx, we are happy to assist you in choosing the right motocross gear. 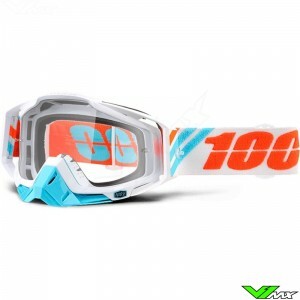 V1mx has a wide range of motocross goggles from top brands, through our own experience and knowledge of the products we can recommend goggles based on your wishes.